5×7 inches car speakers is a perfect choice for any car. These powerful speakers are designed in such a way that they can be installed in almost any car. 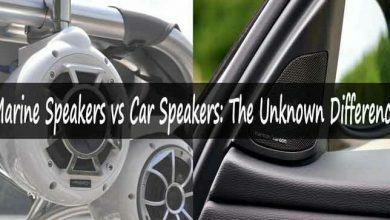 I have found these to be the best among the different categories of car speaker. Factory fitted car speakers are often made with low-quality material and low-grade components. I have seen many fellows who after buying a new car are looking to replace factory fitted speakers because the music quality is not good. 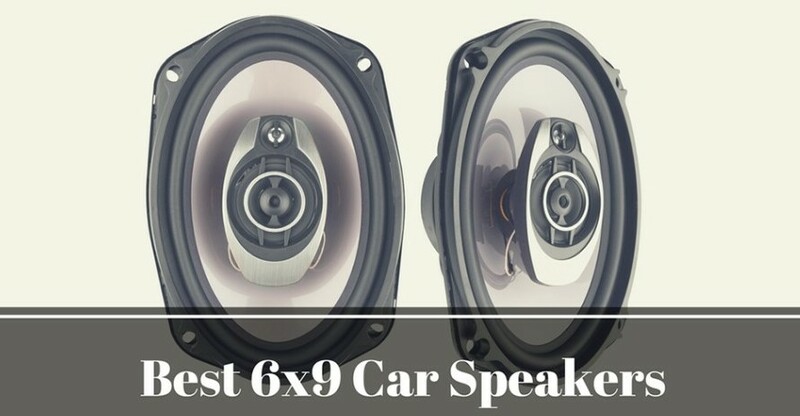 You can always replace your OEM car speakers with these best 5×7 speakers 2019. Now the problem arises when we try to find the best-suited version for our car. The market is filled with cheap brands, claiming to be the best. At Stereo Authority, we always focus on the quality, here you will find the best products from all the top brands. Best 5×7 speakers is an ideal choice if you are looking for better sounding music at the best price. Here is the comparison chart for Best 5×7 Speakers for 2019. I have selected 5 of the top products in 5×7 category. Best speakers are the soul of the car’s audio system and without the best speakers, cars are desolated. 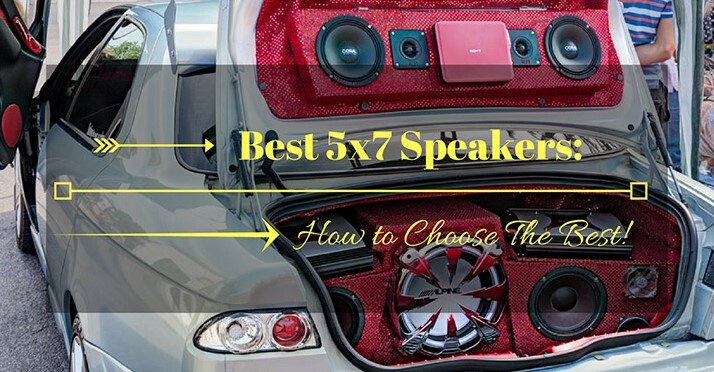 You don’t need to go elsewhere, as I will be explaining one of the best 5×7 car speakers. Here a famous brand’s speaker that is Rockford Fosgate P1572 coaxial speakers that you must be wondering to know about. I have added complete details so that may get all the information about them and their pros as well as cons also. Punch speakers especially make the sound more audible and soft. Here these punch speakers (pairs) also have their remarkable features. This speaker has got a FlexFit basket design and a little bit oval in its shape that looks completely unique and pretty much good enough and its FlexFit design helps slightly in its adjustment when it is mounted. This frame also utilizes slots despite single screw sized holes and this helps in this speaker adjustment a lot. Rockford Fosgate P1572 coaxial speakers have the built-in crossover with the PEI dome tweeters on it. This gives very much ease to you people as you do not have to install the tweeters separately. 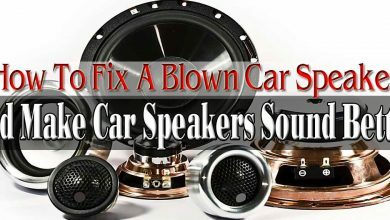 You can install these speakers very easily at any place in your car where it gives a perfect and clear sound. These are actually integrated sealed crossovers also called as ICC and they hide the crossover inside the basket, giving them a cleaner look and also helps in easy installation. This speaker is having the mineral filled and propylene injection molded cone that has its own strength that makes this speaker highly durable, this is actually tough and strong material that’s why gives enough strength to this speaker. Along with this, this speaker is surrounded by the Butyl rubber surrounding that gives security to its inner structure and increases the shelf life of this speaker also. These are the 5×7 inch full range car speakers and it is such a normal size that it fits almost every car either a big or a short one. These speakers are highly efficient and also its vertical attached surround technique is helpful in the increase of speaker’s effective cone area. This gives 25 % more effective radiating cone area. OEM adapter is also included with these speakers and this Multi OEM adapter plate allows these speakers to fit easily in the OEM openings. This allows the speakers or give them more capacity to fit is different vehicles. A Rockford Fosgate P1572 coaxial speaker gives a standard and a good warranty of 1 year. You can easily buy these speakers with complete confidence. These high-quality speakers will be available to you in a budget-friendly price that you will praise for sure. So all the things of this topic ‘’Rockford Fosgate P1572 coaxial speaker’’ are explained here with complete details. Read this whole review carefully and see and everything about these speakers. These speakers are just awesome; they have good sound quality but not so much good. All other things of these (pair) amplifiers are just perfect and awesome. 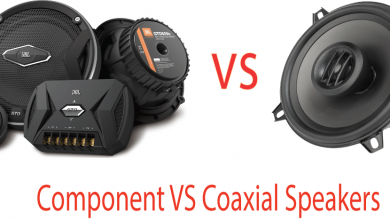 You can easily install these speakers in your car if you just know a little bit about the speaker installation Rockford Fosgate P1572 coaxial speakers are highly durable and efficient and are of high quality for sure. Its normal size and unique design help it to get installed easily and also helps in its proper fixed mounting. My wife’s car is having these speakers and truly speaking these are pretty much good and give a good sound. 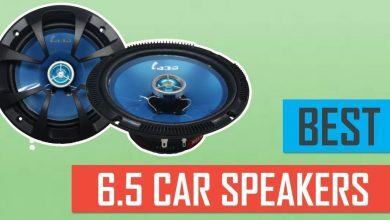 So, you can also take these speakers for your car for sure and after that, you will surely praise these remarkable features. Hope you guys have gained much necessary information about it. Best of luck. Another 5×7 inch, awesome size speaker of another famous brand is going to be reviewed here. Its actual name is Alpine SPS-517 coaxial car speakers. It’s actually from the S series of the Alpine speakers. These speakers can give accurate upper bass and a clear midrange also. This makes the sound system worthy to listen. They truly create the best sound with excellent bass and are mostly loved by all; as it fits everyone’s demands. The speaker has a folded cone in it and seems to be an oval-shaped stylish speaker that gets easily adjusted. Alpine SPS-517 coaxial car speakers have the mounting depth of 2- 3 /8 inch which is pretty much normal. These speakers get installation very easily at any location in your cars, this size fits best at any place with greater ease. Also, its fitting can be done in almost every vehicle, irrespective of its size. These speakers produce a high-quality sound that highly honeyed and lyrical. You will definitely love this highly audible sound for surety. The material used in the manufacturing of these speakers is highly tough and strong that makes it durable, for an increased lifespan and best performance. Learn here about connecting Bluetooth to Car. Alpine SPS-517 comes with a good warranty and support to its users so that they can have a facility in case of anything damaged or any other problem. These speakers, along with their high qualities, also available in an economical range. Every common person will definitely not worry while buying these economical speakers at all. Finally, I would like to say that these speakers are just awesome. You can trust them for high-quality sound and perfect bass. I have experienced many of the speakers in my cars, as it’s a part of my job, I found these speakers just amazing. I love listening to its clear and crispy sound and personally, I would suggest that these are the best speakers for your car. Purchase it for a better audio experience. Alpine SPS-517 coaxial 5×7 car speakers are famous also and liked by thousands of the people who are audiophile’s lovers and you will also found the best when you use them. All to have to do is to install them properly on to perfect place in the car so that it may sound best from that side. I have installed the same speakers five months back in my car as I have said that I have experience of these speakers. They sound just awesome. It’s a perfect choice to replace your factory fitted speakers with these good speakers. Also, this is a trustable brand making a lot of different sizes speakers but this size works best for most of the people as it is a normal size that will fit perfectly in any car, either short or big or having a more space or not, this size will adjust properly anyway. If you are keen to know all about these speakers, you can read this whole information so that you must know the pros and flaws even, of any kind of speakers so that you can do the right selection. Boss speakers are always the best. So, here I will tell you about another excellent car speaker of 5×7 inch. Actually, this size is the best compatible to all vehicles, neither too small nor too large. So, this speaker is New Boss CH5730 coaxial speaker. It is just amazing and will bring rock in your life and you will start loving to listen to music more than anything else as it will enhance your music taste. It is a must to read all about all these speaker reviews to get what you are exactly demanding. Good features of any product make it popular and the most liked ones. New Boss CH5730 coaxial speakers have got the bright red, gorgeous looking poly injection cone woofer and along with giving a good look, this red color can make a statement in almost any vehicle. Boss CH5730 speaker has the tweeter embed on it and you do not need to install the tweeters separately and this is a good convenience. These are actually one-inch Polyimide dome tweeters (mid-range). It is having a voice coil of aluminum that is strong and durable and these things together increase the durability of the whole speaker making it long-lasting and the best speaker. This is actually 1-inch high-temperature aluminum voice coil, aluminum is the best material for the coils and other speakers which do not have this gets damaged after some time of their usage. Boss CH5730 speakers have got the 4 ohms impedance; most of the speakers have the same 4 ohms impedance as it is a pretty much effective resistance of an electrical circuit. This speaker is having the high grade, excellent sound that will enhance your music listening taste and you will prefer these speakers mostly irrespective of all your likings and you will definitely start loving these. Once again I am telling you that these are 5×7 inch car speakers that got installed or adjusted in every car, either your car is short or big, either it has enough space or not, this speaker size will fit properly and easily. They are actually 2 pairs of speakers, which mean the 4 packs of speakers. You can also install them at different locations, e.g your car doors etc. New Boss CH5730 coaxial speakers have got the weight of 8 pounds, so these speakers along with their other outclass features, light weight also. This speaker provides a good warranty and support as a good warranty also depends on the brand and Boss is a well known and trustable brand. Each and every product comes with the instruction manual or user guidance, you can also check out that manual as it has written on it, the warranty duration of that specific product along with the other things for the facility. Boss CH5730 coaxial speakers are available in cheap price. So you can buy it with greater ease. There Best 5×7 Speakers are very few products with the high quality and a lot of good features, along with the affordable price, so consider that products an opportunity like this, take one and boom, enjoy the quality music. All of the details that this product is having are explained in a complete way here. I am very happy to use these best 5×7 speakers. You should grasp the opportunity to take these speakers for experiencing quality sound in a very affordable range. These are the best option to replace the factory fitted car speakers and if you are also got frustrated listening to the factory fitted speakers in your car than take the action and fit the best one like this. Here I am going to talk about a very much interesting, the best and multi-usage amazing speaker that can be used in boats, marine, ATV, motorcycles and Cars, and its name is Polk Audio MM1 series, coaxial speakers. I can say with complete confidence that you desperately want to know about this amazing speakers and I am also keen to write about these marvelous speakers. Sit tight and get ready to read all of its amazing features. These Best 5×7 Speakers look very stylish and present a gorgeous look. They are actually of oval shaped and fit to any place very easily and smoothly. These speakers are specially engineered for the high-quality sound and best performance in any case or in any kind of situation. Actually and every product of MM series is best and meticulously engineered for giving the best performance. These speakers are having the 1 inch (25mm) Terylene tweeters attached on it for the best sound control, these are embedded smoothly on these speakers and give it a perfect and a complete look and you do not need to install them separately at all. If you have a boat or any kind of stuff like that and you are trying to install speakers in them than definitely, you can install these speakers into it. You may be wondering that how can it be possible but this features clear that thing that it is ultramarine certified. Actually, it has the non-corrosive fiberglass reinforced with ABS basket and epoxy coated crossovers to make it waterproof from its inner and outer both sides. It also has to weep holes for drainage and all these things give it an extra and long-lasting protection. Also, Audio MM1 series coaxial speakers are waterproof, salt and fog proved with completely UV tested. The best thing ever in these speakers is that along with their usage inside the car, these speakers are also for the use in boats, ATV’s, marine and motorbikes also. It uses the dynamic balance technology that is also one of its reasons for being the best. All the materials used, go through the high technology rigorous testing that identifies and also cancels out any unwanted resonant frequencies. These speakers have the frequency response of 35Hz to 40 KHz and 93 dB sensitivity. These speakers have also got the high-temperature Conex spider and oversized voice coils for the increased power handling. Polk Audio MM572 is having the lightweight Neodymium motor structure and have its total weight of 4.25 pounds only. These lightweight vehicles are compatible with all vehicles and can be installed easily. Most of all it has the best sound quality that you have ever heard. You will listen beyond anything in the OEM factory setup. The best thing is the listening to that melodious sound; in your car, boat or at any of these vehicles amazingly. The color of this Polk audio MM572 coaxial speaker is sleek black that looks very enchanting. This speaker also provides a good warranty and support to its buyers along with its high qualities and approved testing. These speakers are present in an affordable range but it may be expensive for some people but extremely high quality definitely demands some cost but surely you can easily buy this. Magnet Weight is 1.38/0.23 oz. When I got to know about these speakers, I got crazy to buy them as they attracted me so much and personally speaking this speaker has its own value for me beside the other good speakers. Buy them now and enjoy the fun at its peak. All the speakers reviewed here are of best and high quality. All you need to do is to pick the one whose features and specifications are the exact same that you are demanding. So here’s another well-known name in the audio industry, the JL Audio C5-570X, Evolution Series Coaxial Speakers. You will also see that how much amazing this speaker is by seeing its features and good specifications. JL Audio C5-570X is having a cast alloy frame with an elevated frame cooling. It a highly tough framework for increasing the life of this speaker and making it extremely durable. Along with this frame is designed as such that it will not let the speaker overheat and damage itself, it remains cool all the time even after a continuous and long time usage. These speakers have the 2 way external high and low pass adjustable crossover network. The crossover has the adjustable 4 position tweeter level and the 3 position low-level adjustments (mid and low) mid range control. It’s actually a ¾ inch silk dome tweeter. Over the entire crossover gives a sleek, compatible and a smooth design along with the gorgeous look. JL Audio C5-570X speakers have got the highest sound quality even better than the C2 series speakers. When you will start listening to these speakers than no doubt, you will consider them the best choice as compared to your old factory fitted speakers. So these speakers are a good choice to replace your factory speakers with them. These speakers are lightweight so there will be no issue of mounting and installing them at any place in your car. You can easily and properly handle it. These Best 5×7 Speakers are very much easy to install and crossover is perfectly built in, all the things like tweeter etc is perfectly built on the crossover and there will be no need to install them separately but you have to just install different pairs of speakers at different locations in your car so that they can give a loud, perfect and high-quality sound, like you can install them in car doors etc, there will be no problem in installing them at all. JL Audio C5-570X speakers are economical to purchase, so without worrying, go and get one for you or for someone you love the most to please them or make them happy by your perfect choice for them. I have gifted these best 5×7 speakers to my dear friend. You will laugh to know that we were playing a game and I lost that game and then my friend demanded a good car speaker from me. I was actually searching for a brand new excellent speaker and I found this one as I presented this to him as a gift and for completing our bet. When he used these Best 5×7 Speakers, trust me he came to thank me for this best choice and I also heard the high-quality sound in his car and I am thinking to just go and take another one or myself too. If you also want to purchase this, you can easily take this affordable speaker for recreation.